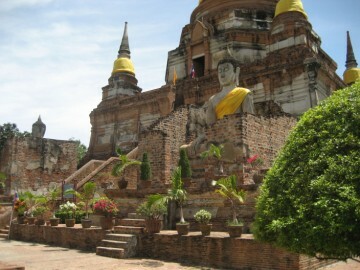 off the city island in the southeastern area of Ayutthaya in present Phai Ling Sub-district. 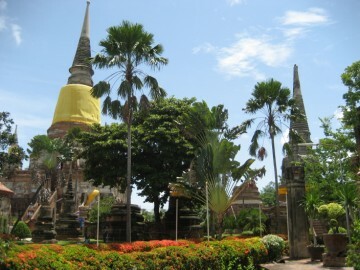 allied) settlement existed here before King U-Thong established Ayutthaya in 1351.
the latter ran, parallel with Khlong Khao San, also towards the Pa Sak River. 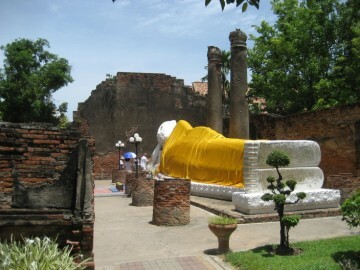 In the year 1357 two princes of Ayutthaya, Chao Kaeo and Chao Thai, died of cholera. preaching hall (viharn), be established. 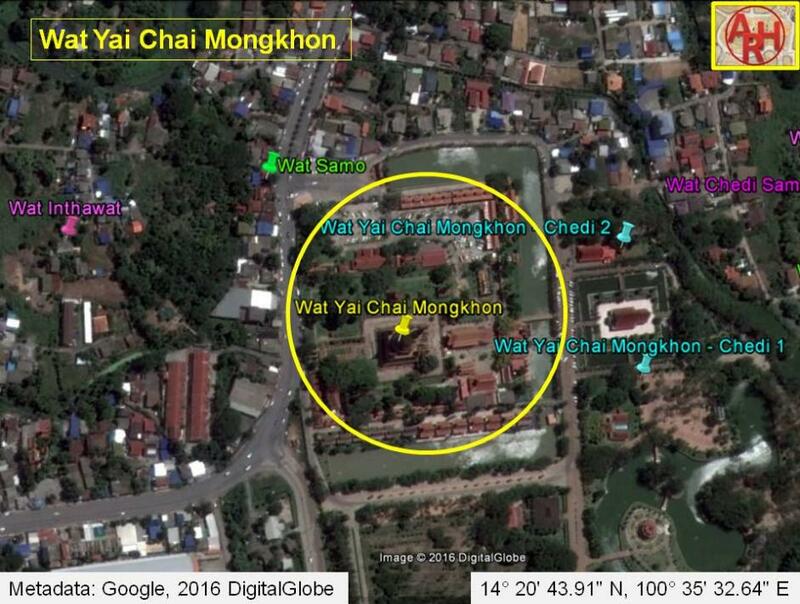 He gave the monastery the name "Wat Pa Kaeo"
Sangkha hierarchy, in the paragraph above. Burmese and the premises deserted. 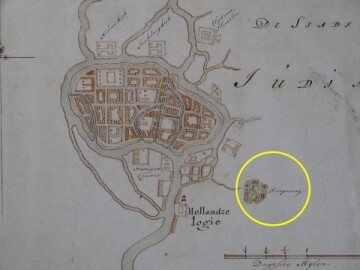 The monastery was re-established and officially recognized in 1957.
head in southern direction and facing the east. 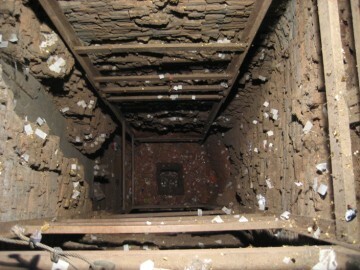 so that the original structure remains visible. 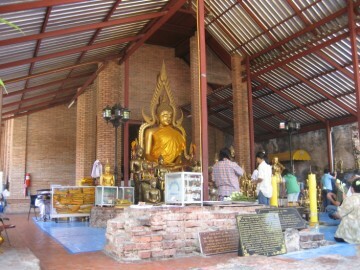 structures collapsed, exposing the Buddha statues inside. 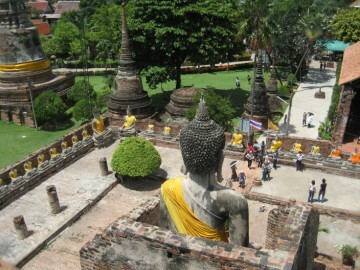 whole temple complex is surrounded by an outer wall. 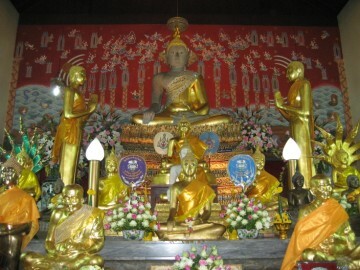 former sponsors of this temple. the monk’s living quarters at the northern side. 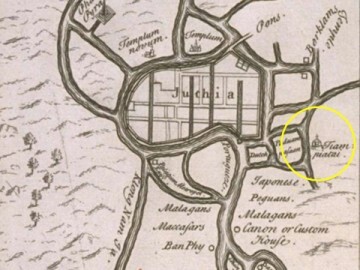 indicates it on his map drawn in 1690 as "Tiampiatay". the sacred Ganges River in India. 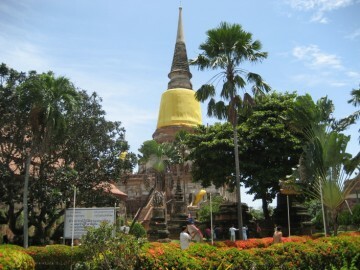 (2) Luang Prasoet’s "Royal Chronicles of Ayutthaya" set its establishment at 1363 AD. 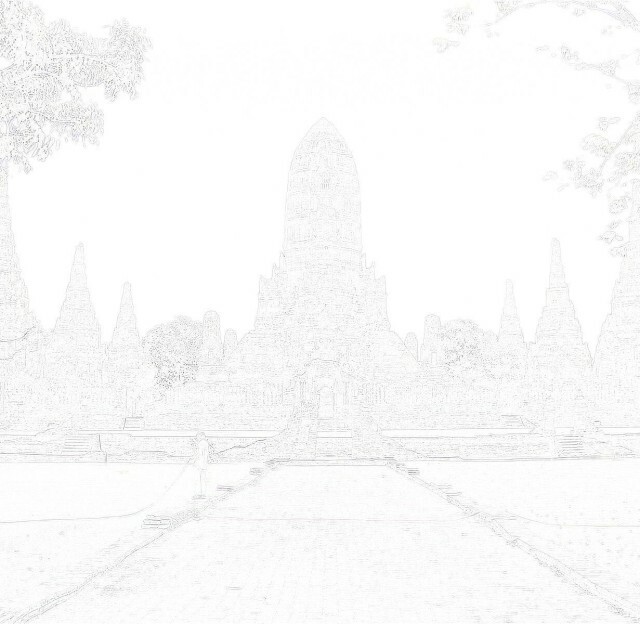 Phra Cakkraphatdiphong & Royal Autograph.page. 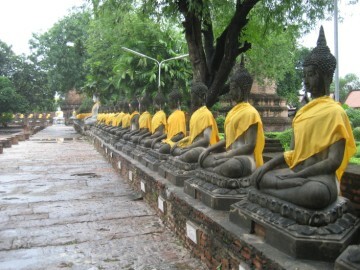 Ayutthaya: A World Heritage - TAT (2000). 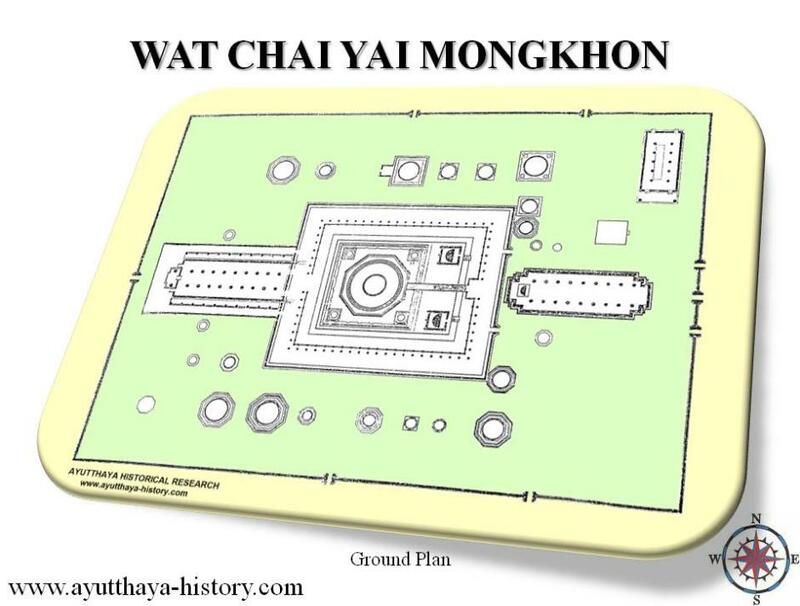 The Royal Chronicles of Ayutthaya – Richard D. Cushman (2006) - page 31 / Source: Luang Prasoet. The Royal Chronicles of Ayutthaya – Richard D.
Cushman (2006) - page 42 / Source: Phan Canthanumat, British Museum, Reverend Phonnarat, Phra Cakkraphatdiphong & Royal Autograph.page. Van Vliet's Siam - Chris Baker, Dhiravat Na Pombejra, Alfons Van Der Kraan & David K. Wyatt (2005) – page 54. 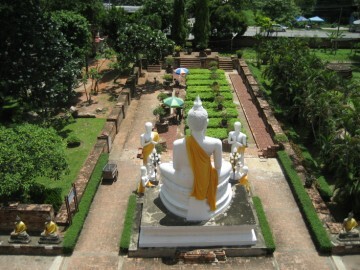 Van Vliet's Siam - Chris Baker, Dhiravat Na Pombejra, Alfons Van Der Kraan & David K. Wyatt (2005) – pages 155-156.